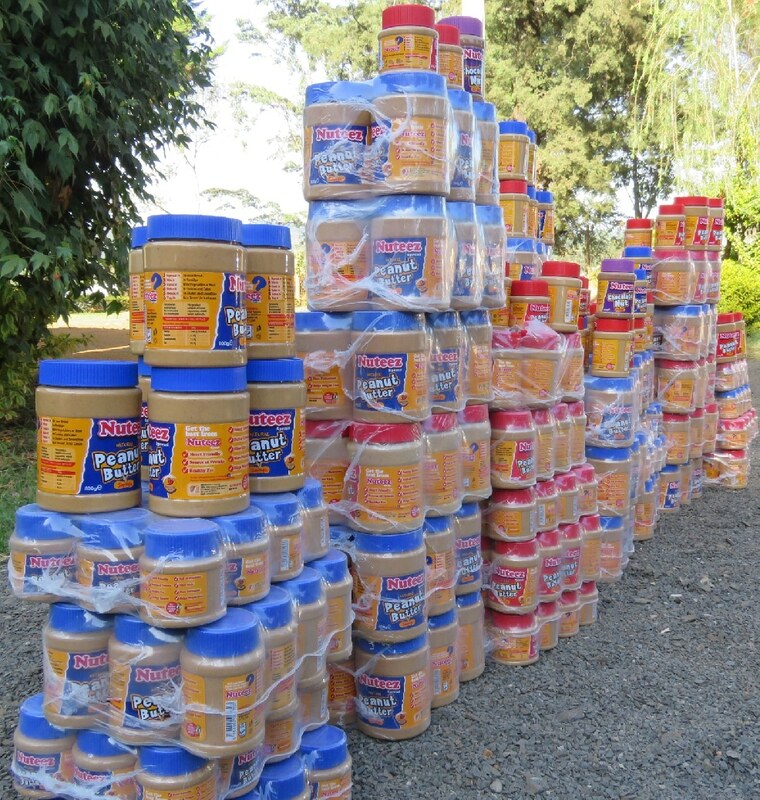 Public Health Officers in Kapsabet town have seized peanut butter contaminated with aflatoxin. 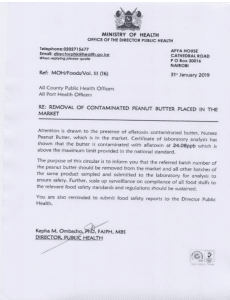 The peanut butter, which was stored at several business outlets in Kapsabet town, was found to have aflatoxin levels twice the times above the regulatory limit of 10ppb. 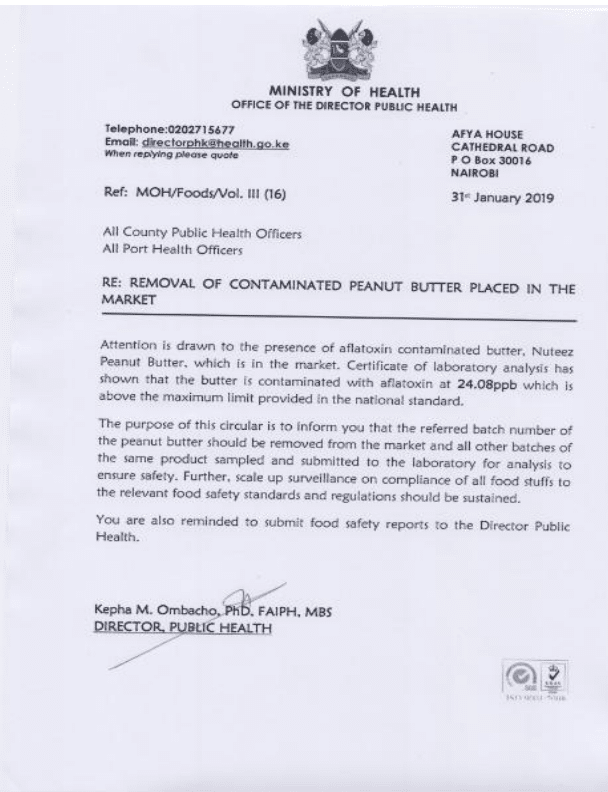 Nandi County Executive in charge of Health and Sanitation Ruth Koech said that Public Health Officers (PHOs) took action after samples that had been taken for analysis at the Government Chemists in Nairobi proved that the Nuteez peanut butter was unfit for human consumption. 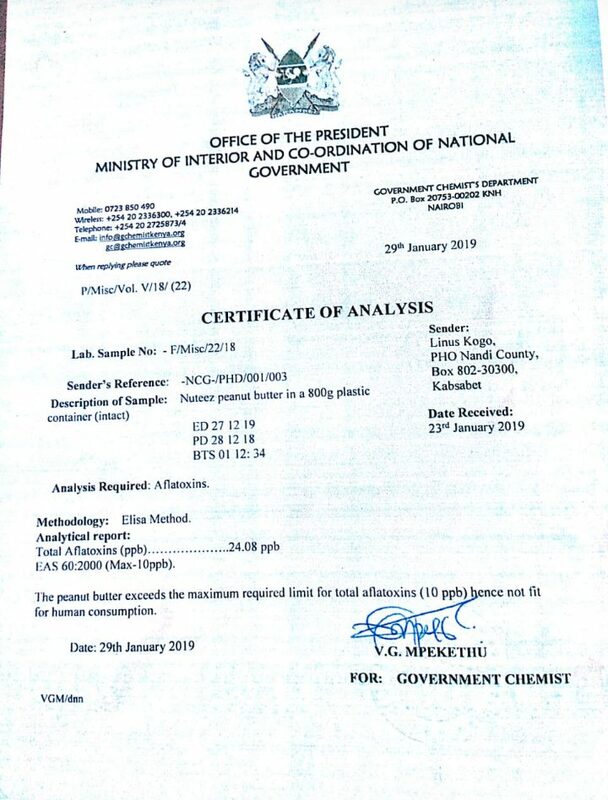 “PHOs picked samples from the different business outlets for analysis at the Kenya Government Chemist in Nairobi,” said Ruth. The PHOs enforce the law using the Food, Drugs and Chemical substances Act. 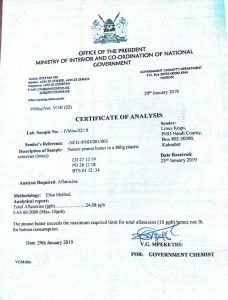 Cap 254 and Public Health Act Cap 242. 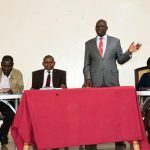 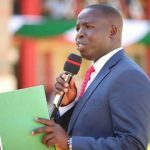 Public Health Officers Ray Sowon and Linus Kogo who led the operation and accompanied by County Head of Enforcement Christoper Biwot, urged Nandi residents with information of unscrupulous products to share the information for action. Chief Officer for Preventive and Promotive Services Sally Kemboi urged all the Public Health Officers to move with speed and seize the contaminated products and further take necessary legal action. 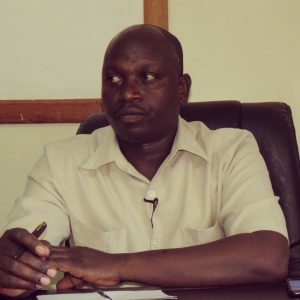 Further to that the County Public Health officer Alfred Bichii said some business people were making money from products they that are unsafe and injurious to human health. 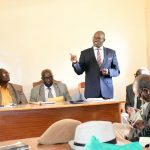 “We are not going to be polite on this,” he warned. 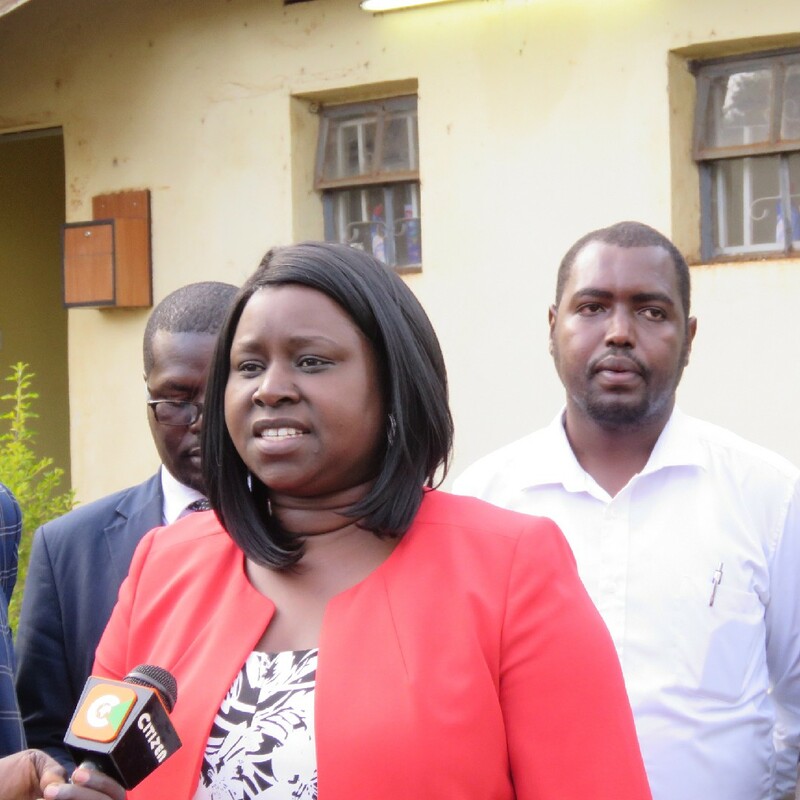 “Traders should engage in genuine business. 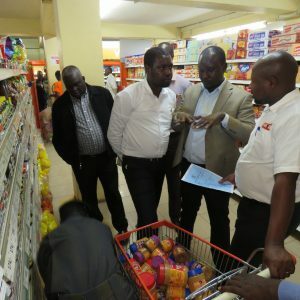 People who bring in products into the county should know what products they are buying,” he explained. All PHOs across the county will continue inspecting all other products in markets and schools.